Beloved by critics and audiences alike, american soprano Ellie Dehn has shared her exceptional skills with many of the world's finest opera houses and orchestras, including the Metropolitan Opera, Teatro alla Scala, Royal Opera House, Bayerische Staatsoper, San Francisco Opera, Los Angeles Opera, Houston Grand Opera, San Diego Opera, Santa Fe Opera, Santa Cecilia, and the opera houses of Geneva, Rome, and Bologna. Hailed for her versatility, she revels in productions and oratorio work encompassing an exceptionally broad repertoire, and she has emerged as a specialist in works by Mozart. In the 2018-2019 season, Ms. Dehn makes her role debut as the title role in Strauss’ Arabella with the San Francisco Opera, and returns to Opera Colorado in her signature portrayal of the Countess in Mozart’s Le Nozze di Figaro. On the concert stage, she will join the San Francisco Gay Men’s Chorus as the soprano soloist in Kristopher Jon Anthony’s Requiem, When We No Longer Touch, commemorating the organization’s 40th anniversary, return to the Milwaukee Symphony for Handel’s Messiah, and will join the Boston Youth Symphony as Mimi in Puccini’s La Bohème. Last season, Ms. Dehn made her role debut as the title role in Massenet’s Manon at the San Francisco Opera opposite tenor Michael Fabiano and returned to the Grand Théâtre de Genève as the Countess in Figaro Gets a Divorce; a modern addition to the Figaro trilogy composed by Elena Langer. Concert appearances included Beethoven’s Ninth Symphony with the Dallas Symphony conducted by Jaap Van Zweden to conclude the Music Director’s farewell season with the company, Handel’s Messiah at Saint Thomas Church in New York City, with the New Jersey Symphony Orchestra, and with the Florida Orchestra, as well as Beethoven’s Ninth Symphony with the Tuscon Symphony. Ms. Dehn’s 2016-2017 season included her company debut at the Teatro di San Carlo as Musetta in La Bohème, and her return to San Francisco Opera in the same role. She also returned to San Diego Opera for her role debut as Alice Ford in Verdi’s Falstaff conducted by Daniele Callegari. Ms. Dehn returned to the roster of the Metropolitan Opera and joined the Orchestra of St. Luke’s for Hadyn’s Creation as part of the St. Thomas music series. Recent seasons have featured her company debut at Royal Opera House Covent Garden as the Countess in Sir David McVicar’s production of Mozart’s Le nozze di Figaro, conducted by Ivor Bolton, which was broadcasted live to movie theaters around the world as Musetta in a new production of La Bohème at San Francisco Opera, directed by John Caird, her company debut with Palm Beach Opera in the same role, , and her debut in the title role of Dvořák’s Rusalka with Lyric Opera of Kansas City. In addition, she made her company and role debut with Central City Opera as Violetta in La Traviata, returned to San Diego Opera as Donna Anna in Don Giovanni under the baton of Daniele Callegari, and made her company debut with Opera Memphis in the same role. Ms. Dehn also appeared with the Dayton Philharmonic in Britten’s War Requiem. Other recent successes include the trio of Mozart/Da Ponte heroines (the Countess, Donna Anna, Fiordiligi) with the San Francisco Opera, her Teatro alla Scala debut as Antonia in Les Contes d’Hoffmann and return as Musetta, Helena in Britten’s A Midsummer Night’s Dream and Musetta at Rome’s Teatro dell’Opera, and her return to the Metropolitan Opera as Donna Elvira and Musetta. Other operatic highlights include the Countess with Houston Grand Opera, Tulsa Opera, and Opera Pacific, Donna Anna with the Ravinia Festival, the Bayerische Staatsoper, Opera Colorado, Opera Pacific, and PORT Opera, Donna Elvira with the Spoleto Festival USA and at Teatro Massimo in Palermo, Fiordiligi with the Teatro Lirico di Cagliari and the Academy of Vocal Arts in Philadelphia, Musetta in La Bohème with Lyric Opera of Kansas City, and her debut in the title role of Weber’s Euryanthe at the Bard SummerScape Festival with the American Symphony Orchestra.At a performance of Don Giovanni at the Met, Garrison Keillor was in the audience and after a quick glance in the program, realized that they were from the same town: Anoka, MN. It was a freak coincidence, and now Miss Dehn is honored to be a special guest on A Prairie Home Companion several times a year. Ms. Dehn made her Metropolitan Opera in the Parks debut as Marguerite in Faust in 2007 and a successful house debut the following year as Mrs. Naidoo in Philip Glass’ Satyagraha. Her debuts with the Accademia Nazionale di Santa Cecilia and the Teatro Comunale di Bologna as Anne Truelove in new productions of The Rake’s Progress were both under the baton of Daniele Gatti. Her numerous company debuts include San Diego Opera and Minnesota Opera as Mimì, Santa Fe Opera as Rosaura in the world premiere of Lewis Spratlan’s Life is a Dream, Le Grand Théâtre de Genève as Agathe in Der Freischütz, Bilbao Opera as Madame Cortese in Il viaggio a Reims, and Los Angeles Opera as Freia in Das Rheingold. Ms. Dehn received critical acclaim for her performances as Juliette in Gounod’s Roméo et Juliette with Minnesota Opera and Cressida in William Walton’s Troilus and Cressida with the Opera Theatre of St. Louis, and she recently debuted the rarely-performed Henry VIII by Saint-Saëns as Catherine of Aragon at the Bard SummerScape Festival. 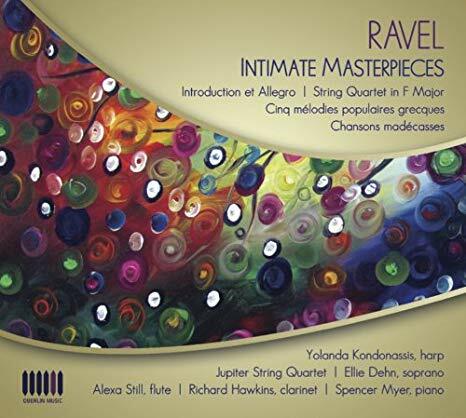 Her discography includes a chamber music project: Ravel- Intimate Masterpieces released on the Oberlin Music label and distributed by Naxos America, and live recordings of Henry VIII and Euryanthe, both of which are available on Itunes and Amazon. Honors and awards include first place in the Gerda Lissner Competition, top prizes in the Licia Albanese and Elardo International Opera Competitions, and a Grand Finalist in the Metropolitan Opera’s National Council Auditions. 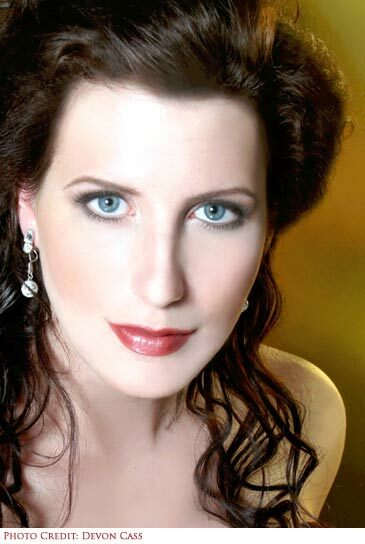 In 2007, Ms. Dehn was also a winner of the George London Competition and was subsequently chosen to do a joint recital with the legendary bass-baritone Samuel Ramey. © 2019 Ellie Dehn. All rights reserved.